CRP Contract Management - Contact FSA or NRCS with questions. Producers have been notified of required completion dates. September 14th - End of CRP grazing for contract management. Cattle must be removed by this date. November 15th - 2018 ACREAGE REPORTING DEADLINE - 2018 fall seeded crops, native grass, triticale and alfalfa crop reporting deadline. CRP Continuous Signup - Lesser Prairie Chicken, CRP Grassland acres are available. Producers interested are urged to contact FSA Office. Hope everyone enjoyed the busy weekend of the Kiowa County Fair and Rodeo. The Eads All-School Reunion was a success, and it is always fun to reconnect with those that you share school memories. I like to think we are all like fine wine, getting better with age. CRP payment and ARC-PLC payment will be issued in October. The office will concentrate on CRP payments first and then ARC-CO, PLC and ARC-IC payments. Producers who do not have their eligibility paperwork in place will not earn a payment until it is filed and approved. If you have received paperwork to complete get it back to the office as soon as possible. Projected payments for grain sorghum, corn and sunflowers are as follows. Final rate will be announced the end of September. Grain Sorghum - $1.20 bu. Producers who elected Price Loss Coverage will be receiving a check in October. There has not been an announcement of the actual county yields to determine if the ARC-CO program will trigger payments. Thursday, September 14th will be the last day for grazing CRP for contract management purposes for the fiscal year. Cattle must be removed by this date. The next grazing date begins October 1, 2017 and is a 60 day grazing period which will end November 30th. Colorado State FSA Committee established two separate grazing periods to provide the producers 120 days for grazing. Reminder, there are a number of producers who have not completed a required contract management on their CRP contract(s). Contract Maintenance is a requirement on 100% of the acres before end of the 6th year of the 10 year contract. Failure to complete the requirement will result in a non-compliance determination by the County Committee, the contract could be terminated. The FSA Office received notification this past week that warehouse receipts received from licensed warehouses for producers wishing to obtain a commodity marketing loan must have all grading factors listed on the warehouse receipt. For example, for wheat the following items must be listed on the warehouse receipt. If any of these items are missing on the warehouse receipt, it will be returned to the warehouse for correction. If correction cannot be made, the commodity will be ineligible for loan. Monday through Friday - 8:00 a.m. to 4:30 p.m. Friday, by appointment only. 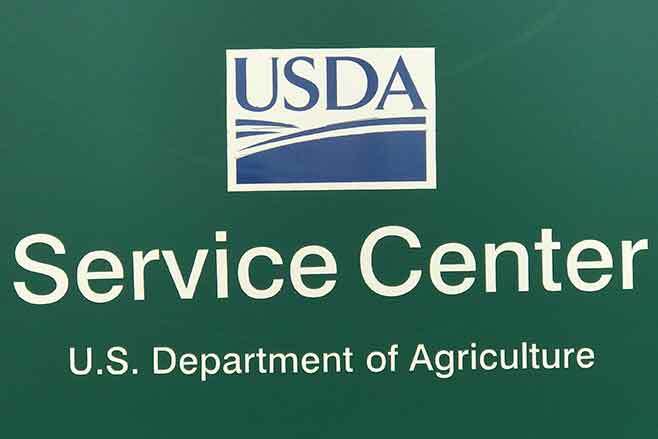 For information on programs visit our website located at www.fsa.usda.gov or like us on Facebook, or follow us on Twitter.